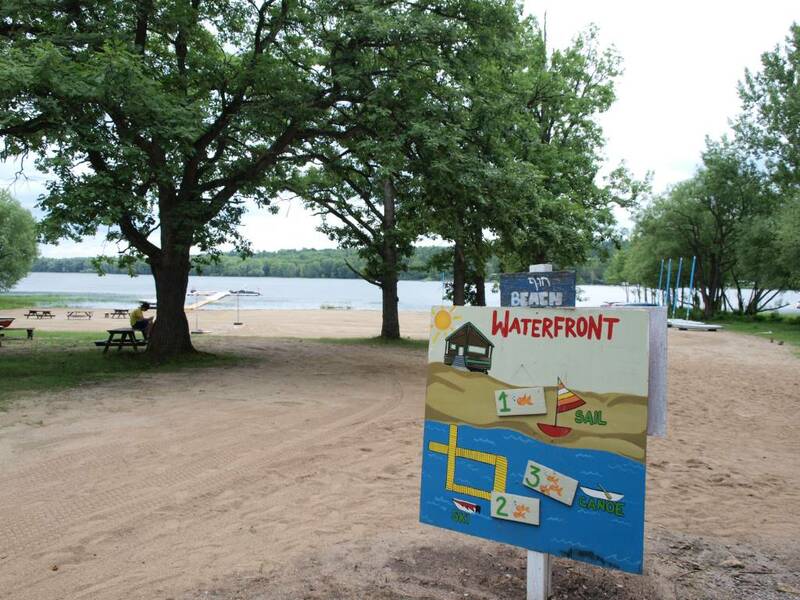 Camp B’nai Brith of Ottawa has been home to thousands of people – campers, staff and supervisors – for almost 85 years. Once we make the decision to leave home and spend our summers in the city, the memories can soon feel distant and faded. But the funny thing is, when we come back to visit, walking through those gates and coming back home after so many years, the memories come back in a flash and it can feel like they happened just yesterday. “As a kid, I always had the most amazing summers at CBB. Then, going back to visit 10 years later as a dance instructor, I was able to witness the next generation of happy camp goers creating memories, as I did and still cherish,” said Jenna Katz, who attended CBB for 10 years, and then returned for the first time, for a day, in Summer 2018. Whether it’s been 5, 20, or even 50 years, the scent of the dirt path running the length of the camp from the gates to the beach can make all of the old, familiar feelings come rushing back. Matan Zelikovitz was a camper and staff for many years at CBB, and had the opportunity to come back this past summer. “Walking through the CBB gates after 4 years was like coming home after a long vacation. It felt like nothing had changed,” he told us. The feeling of riding on the bus headed to camp, the bus slowing down as it turns left onto River Road, not knowing what this summer has in store for you. The feeling of running down the main path with your best friends, heading to your next activity. The feeling of walking barefoot on the rocky path after jumping into the pool post World Cup finals or Grey Cup game. The feeling of walking down to the waterfront debating with your friends about whether your group’s number on the sign will show Waterski, Sail or Canoe. The feeling of eating lunch in the Mess Hall, hoping you don’t lose the stacking game. The feeling of watching the Camp Play, sitting on the ground, with everyone else in the camp in the stuffy Rec Hall. The feeling of sitting on the basketball court at night with all of your friends, wishing curfew would never be called. The feeling of having 10 minutes at crossroads to gossip, talk to the cute girl or guy you’ve been waiting all day for, or just to hang out with your friends. The feeling of excitement and anticipation when the Colour War break begins, squeezing your best friend’s hand and hoping you’re on the same team. The feeling of hugging all of your friends and campers after the Alma Mater, knowing camp will be over in just 3 days. The feeling of saying goodbye at the busses to some friends you won’t see for another 10 months. Camp is where you met your favourite people, learned how to make a bed, sang your first song in front of a crowd, got up on waterskis, and first stepped out of your comfort zone.